It was an emotional day at our “The Young Achievers” meeting recently. During a session on stress management, one of the youth suddenly broke down in the middle of the discussion circle and shared with the rest of the group how a family member’s former gambling problem was still affecting him and his family’s well-being. He shared how difficult it was for him to cope with the anger and frustration. The other students immediately surrounded him. They tried to console him and assured him that this problem wasn’t his fault. With the support of his fellow TYA members, he was able to compose himself. Afterwards, the group talked about dealing with similar stressful situations, practiced techniques for coping with stress and discussed the importance of learning how to find a safe space, both mentally and physically. WellShare International’s The Young Achievers (TYA) program for East African youth is such a safe space. 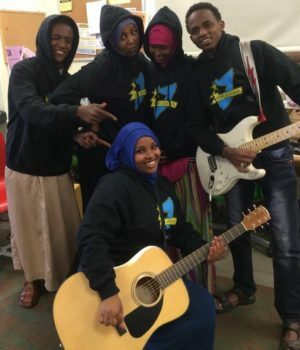 TYA is a community-based program, currently in its 15th year, and consists of after-school programs as well as an in-school “WellShare Wellness Class” for Somali and other East African youth. A main component of TYA is making sure the youth feel like they have a place where they can truly belong — a place where they know they are welcome to share their emotions and experiences, whatever they are, without being judged. Each academic year, TYA facilitators travel to three locations per week. Each group has about 30 students, mostly middle and high school students. 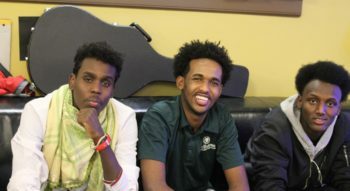 The program staff are young, college-educated Somalis who act as mentors and bond with the students. This helps the young people form consistent relationships with relatable adult leaders. Abdi, program coordinator at WellShare International, has worked with The Young Achievers Program since 2010. He is fluent in English and Somali and provides training on Somali culture and arts. Zahra joined the TYA team as the Lead Community Health Worker in January 2018. She has experience working in community-based health in Somalia and enjoys working with the youth. Currently, TYA meets at Franklin Library, Cedar Riverside, and Metro Schools. Lessons and activities cover topics such as nutrition, the many dangers of tobacco, managing emotions and dealing with stressful situations. 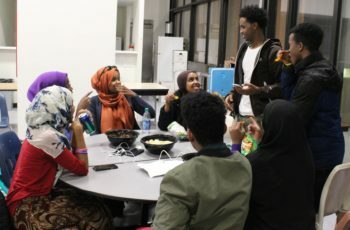 The program aims to help East African youth in the Minneapolis-St. Paul community develop skills to become leaders and advocates for healthy lifestyles. With recent reports showing Minnesota youth tobacco use rising for the first time in 17 years, programs like TYA are essential in the fight against teen tobacco use. Our WellShare Wellness class meets once a week and focuses on teaching 9th grade students about the health impacts and risks of smoking tobacco products and secondhand smoke exposure. Students learn about these dangers throughout the year, and more deeply during an anti-tobacco focused 8-week curriculum. This year, students will also participate in a PhotoVoice project. 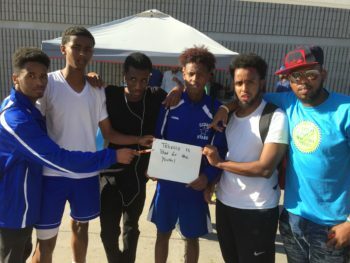 With the help of a mentor, the youth will take photos showing the impact tobacco use has in their personal lives as well as in their community. They will then create short stories describing their photos. At the end of the project, the students will have the chance to present their photos and messages in a photo exhibition in order to further educate their peers. In the past year, 109 youth participated in The Young Achievers program. Historically, 100% of TYA students have graduated from high school and continued on to college.